Last week I was bored at work and decided to come up with some random Wizards "thing". 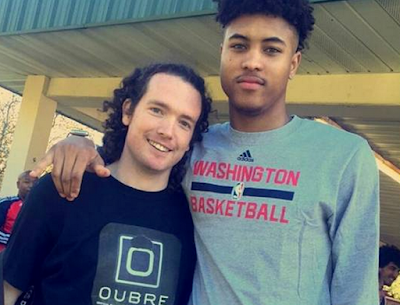 I looked at Wizards rookie Kelly Oubre Jr's name and realized that it has all the same letters of Uber. The photoshop basically designed itself. I put the Oubre Uber logo on a t-shirt and went to see Kelly at a Wizards fan event this weekend, and he loved the bit. I got some comments and laughter from Dejuan Blair and Marcin Gortat, but the whole point was to show Kelly Oubre Jr my iron on shirt creation skills. Kelly loved the shirt and pulled me aside for a photo op. Needless to say we are now best bros.
We will be having a "Welcome To The League" Wizards game watch party at some point this season (stay tuned to the calendar on www.DCSportsHappyHour.com) where we will give away a few of these shirts and a photo autographed by the rookie. 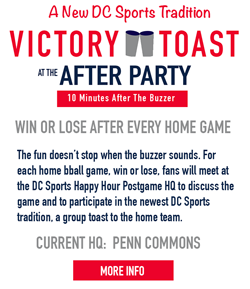 Kelly Oubre will not be there, mostly because he will be at the game, but also because he is not 21. The pic got some pub on Wizards Snap Chat and was featured on the team Instagram page. So you know, that was cool. 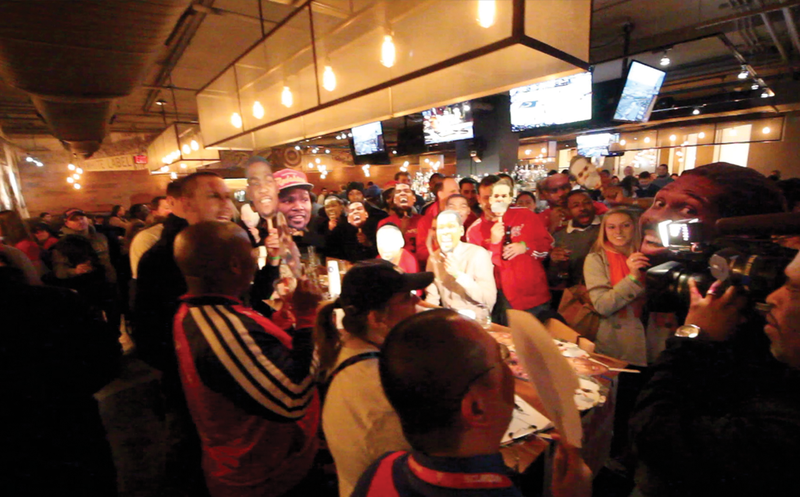 This is the kind of fun we like to have at our events! See you out there!